Being in the automotive industry for over 55 years doesn’t an only prompt brand name, but also symbolizes prestige, sustainability, confidence and customer acclaim. All these attributes and more portray the Japanese car manufacturer, Subaru. Part of the FHI group, Subaru created its first car, the Subaru 1500 or P1, in 1954. Today, Subaru has a modest but impressive line up of eight car and crossover models, which according to consumers’ reports rate high in reliability, safety, comfort, and performance. Using innovative technology, this world-acclaimed manufacturer was the first to introduce ECTV (electronic continuously variable transmission) which, unlike standard automatic transmission, eliminates shifting. Also, Subaru is the only manufacturer that has the all-wheel-drive system as a standard on almost all models. However, even numerous hours and hard work put into engineering quality vehicles do not ensure perfection. The Subaru models are also prone to repairs, minor and major. So, before you purchase a new or used Subaru, it is best you do thorough research on which Subaru model is most prone to repairs. According to reports, the model with most complains is the Subaru Outback with 2005 being the worst year for this model. Most customers complained about clutch failure at low kilometers. The clutch disc is like a break lining – it gradually wears out as friction material gets detached from the disc anytime you engage or disengage the clutch. And this is normal, which is why clutches usually need to be replaced about every 80,000 km. 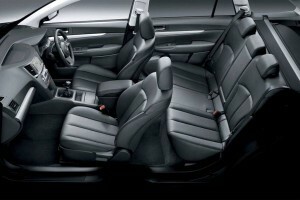 However, many owners of the Subaru Outback complained of clutch failure at low kilometers. Of course, the clutch can fail as a result of careless driving too – if your foot rests on the clutch pedal while driving, the clutch disk will wear out faster. But there are other factors that may contribute to early clutch failure. That’s why it is imperative for your technician to find the cause in time. 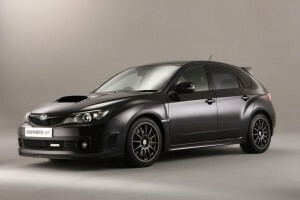 The Automotive Experts have the knowledge and experience to work on all Subaru models. If you’re experiencing clutch drag, slippage or any other clutch related problem, contact our technicians for detailed Subaru service as minor problems are easily repaired at a fraction of the cost for a major Subaru car service. Another problematic model for this Japanese car manufacturer is the Subaru Forester. Most owners of this model expressed dissatisfaction over a head gasket failure. If your Forester isn’t running right, your engine most likely has a blown head gasket. It is important to conduct a thorough Subaru service and fix this problem promptly as blown head gasket can seriously damage your engine being the main sealing element that is located between the cylinder head and the engine block preventing the engine oil and coolant from mixing together. But how do you identify a blown head gasket? The first thing you can do is check the engine oil cap for any milkiness. If it doesn’t look perfectly fine, then you most likely have a head gasket problem. Also, check the engine oil. Again, if there is any milkiness to the oil, take your Forester to the mechanic workshop immediately. Another way to check if you have a head gasket problem is to use combustion leak tester which is available at any auto parts store. Whichever method you choose, if you believe you have a blown head gasket, it is best to bring your car to one of our shops where we’ll give you a detailed report of the problem and go over your options. Even though in 2012, the number of units sold surpassed the anticipated and was among the best selling cars worldwide, the Subaru Impreza is on the list of Subaru’s most repair-prone models. The most common problems reported are transmission failure and certain issues with the vehicle suspension system. The suspension system is important as it minimizes the friction between the tires and the road ensuring car stability, easy maneuvering, and comfort. If you hear a clunking noise when driving on bumpy roads or at low speed, your car’s suspension system is a failure. It is best to have it checked and solve the problem in a timely matter. Also, if your Impreza is having transmission problems, contact us immediately. Transmission is one of the most important car systems as it transmits power from the engine to the wheels. If not repaired in time, it may cause serious damage to your car and lead to costly repairs. Our team of skilled and competent technicians will be able to assist you with any problem you may be experiencing with your Subaru. Give us a call or visit us today for the best and most affordable Subaru service and let us worry about your car problems.